In 2015, fewer Colorado motorists were cited for stoned driving, according to the latest reports from the Colorado State Patrol (CSP). Specifically, CSP has reported that, while 674 motorists were cited for stoned driving in 2014, 665 drivers received these citations in 2015, reflecting an approximately 1.3 percent decrease. “The efforts made in 2015 highlight the Colorado State Patrol’s continued commitment to the citizens of Colorado to ensure safe travel throughout our state,” said Colonel Scott Hernandez, CSP chief has stated. Although this is only the second year that CSP has been tracking stoned driving citations, this does suggest a promising trend that authorities hope to continue in 2016 and beyond. Drowsiness (which can enhance all of the above issues). Motorists under the influence of marijuana (THC) are approximately 25 percent more likely to be in a traffic accident (than sober drivers). 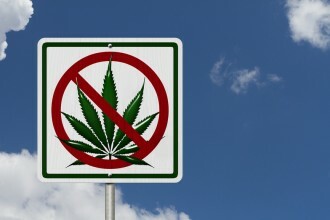 “Marijuana users are more likely to be young men – a group already at high risk [of being involved in crashes].” Young men are considered to be a high-risk crash group because, in addition to being more likely to drive while impaired, they are also generally more likely to speed, drive aggressively and violate traffic laws. The rising prevalence of marijuana and other drugs is a challenge to everyone who is dedicated to saving lives and reducing crashes. Drivers should never get behind the wheel impaired, and we know that marijuana impairs judgment, reaction times and awareness… These findings highlight the importance of research to better understand how marijuana use affects drivers so states and communities can craft the best safety policies. What do you think about the findings that stoned driving declined in 2015? Do you think this is an anomaly or the start of a promising trend? Share your opinions with us on Facebook & Google+. If you have been injured in a car accident, it’s time to contact a trusted Littleton car accident lawyer at Bahr, Kreidle & Flicker. For well over 30 years, our attorneys have been fighting on behalf of injured people and working diligently to help them maximize their financial recoveries.